Recently at an entrepreneurship workshop I got talking to one of the supervisors about my blog, who told me to check out Wanderlust Jewellery as she knows the people who run it. After reading their about page, I fell in love with the background of the company and everything they stand for. Wanderlust means "a strong desire or impulse to wander or travel and explore the world" and they were established after a year long adventure across the globe where they were inspired by many other cultures. I love how their gemstones are sourced from all over the world, and how each piece of jewellery has a story and meaning behind it. I got in touch with Wanderlust and they were generous enough to send me their Sanah Moonstone Necklace* to feature on my blog. When I opened the box I was absolutely blown away - it is honestly the most breathtaking necklace I have ever seen! The moonstone has a blue iridescent hue when it catches the light, meaning it almost looks as if it is constantly changing and alive. They feature a little description on each item's page telling you the meaning behind it which I think is a lovely touch as it really makes you feel as if it is special. "Moonstone is a stone for “new beginnings”, it is a stone of inner growth and strength and believed to sooth emotions it is also believed to encourage love into your life." I think it will be nice for me to wear this during stressful times, such as during my exams, and remember this message of "inner growth and strength" as well as reminding me to stay calm. If you're a "wanderlusting soul", love jewellery with meaning behind it, or just like beautiful things, I would really recommend checking out Wanderlust Jewellery. 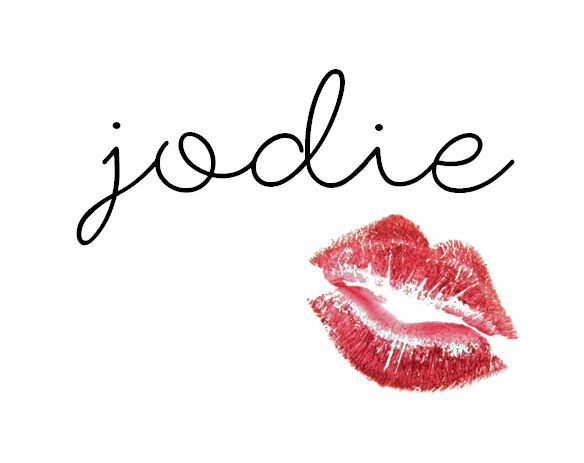 They have also been kind enough to give you guys 10% off when you enter the code JODIEVOSS at the checkout! What a beautiful necklace! I love that their stones come from across the world, and that they have stories behind them - it makes the jewellry more personal and special. This is such a beautiful necklace.